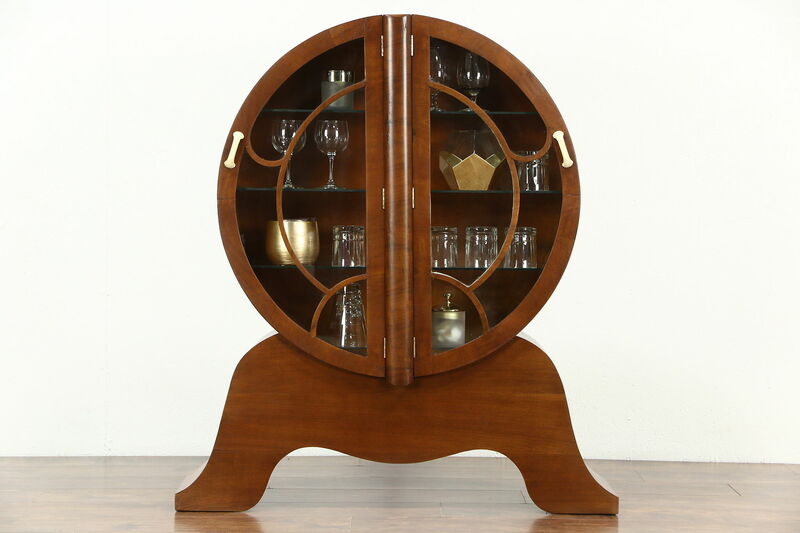 A dramatic round shaped Art Deco curio display cabinet dates from the 1930's and is signed, "S. Spanglett, London." The restored finish is in excellent condition on walnut. Bakelite door pulls are original, one has an old restoration. The back unscrews to remove shelves on this English vintage furniture. Size is 36" wide, 14' deep and 50" tall.